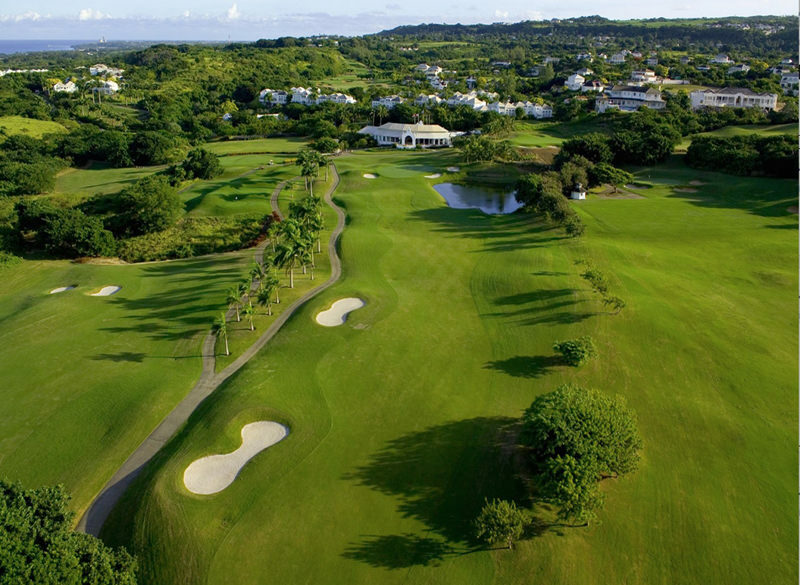 Nestled on over 750 acres of rolling landscaped lawns, broken up by dramatic colours and tropical oases you will find the ultra exclusive Royal Westmoreland, one of Barbados’ finest luxury communities. 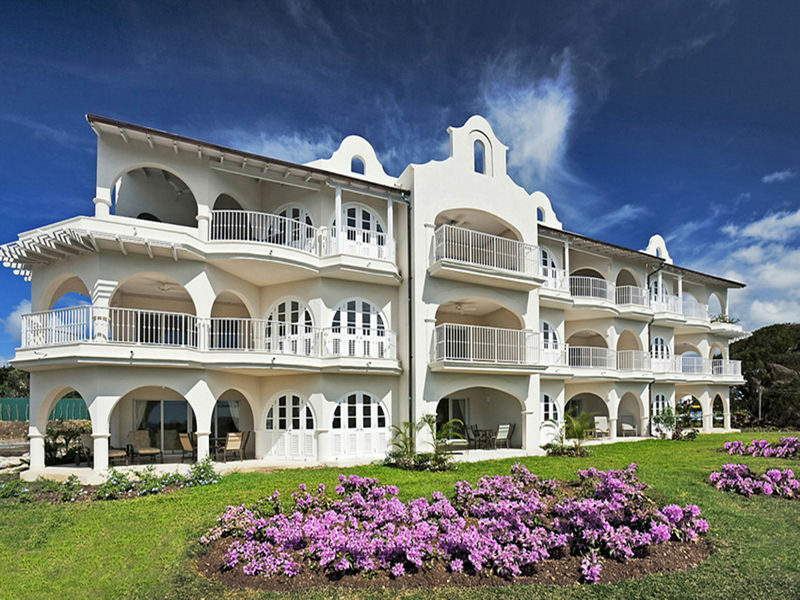 What was once a majestic sugar plantation, the property was first developed in the early 90’s during a particularly intense period of construction on the island which saw an increase in investment from international travelers looking to lay down their roots in the paradise of Barbados. Boasting a first class Robert Trent-Jones designed championship 18 hole golf course, members only clubhouse and some of the best views of Barbdaos, the development has evolved over the past two decades. The estate now features 20 different neighbourhoods all with unique styles and ambiance, each striving to set a new standard in privacy, exclusivity and luxury Caribbean living. Towering palms and cassia trees shade the winding roads into the development which sprawls across a high ridge, overlooking Barbado’s Platinum West Coast. The luxury homes and apartments on the estate boast magnificent fairway and ocean views from this spectacular vantage point and have all been designed with a strong colonial influence. Deep plantation style verandahs and balconies, mahogany accents, french doors and shutters blend seamlessly with luxurious marble floors, plush furnishings and state of the art kitchens. 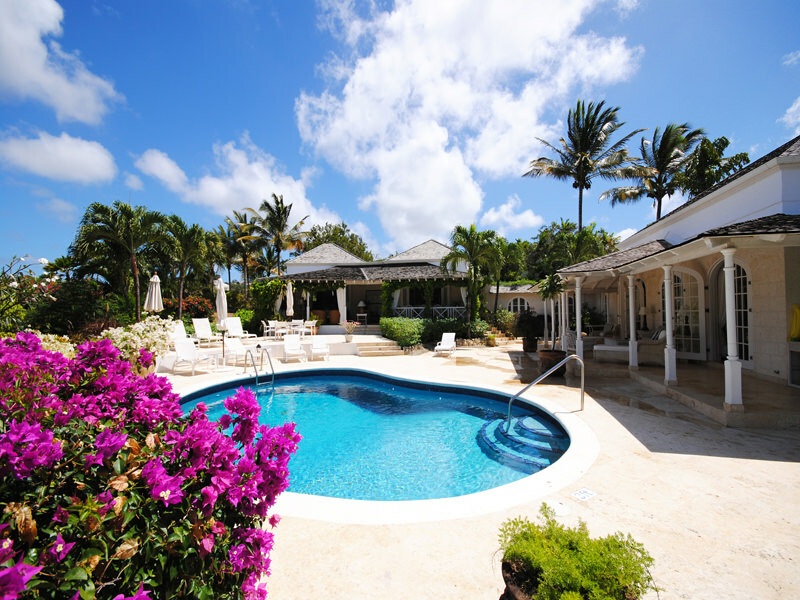 Most of the properties enjoy spacious outdoor living areas designed to embrace the carefree Bajan lifestyle and take advantage of the year round, cooling trade winds and encourage the Caribbean outdoor living. The houses on the estate have attracted many internationally renowned celebrities and famous sporting legends including golfer Ian Woosnam, footballers Wayne Rooney and Rio Ferdinand, and cricketers Michael Vaughn and Andrew Flintoff, who have all invested in not just the fabulous Barbados luxury villas but also the lifestyle that members to this exclusive club enjoy. Properties range from elegant 1, 2 and 3 bedroom condos and 2 to 4 bedroom townhouses to stand-alone 3 bedroom residences and several bespoke palatial villas nestled along the ridge. Prices vary from $500,000 USD to over $12 Million. Land lots are also on sale, offering the opportunity to design your own luxury villa and fractional ownership is available presenting an added incentive for those ready to invest in paradise. Currently owned by British property magnate John Morphet, the resort itself has been voted Best International Golf Development by Bloomberg magazine in 2011 and has planning permission for further development including another 18 hole golf course, luxury resort hotel and almost 150 new homes. Close enough to be within easy distance of the pulsating energy of the various coastal hotspots, white sand beaches, chic beach bars, upscale boutiques and duty free shops and many five star restaurants on the Barbados west coast, yet deliciously secluded enough to provide a true sanctuary when needed, the resort provides just the right balance of au courant and yet cooly reserved. The community is ultra private; access granted through the signature pink stone walls with gated 24 hour security. In the heart of the development owners have access to the Sanctuary, an open air clubhouse with four swimming pools, a state of art fitness centre, tennis and basketball courts, shops and fine restaurants. Many owners agree the perfect day begins with a round on the links and ends with an icy cold beer at the local ‘rum shop’, by far the favourite ‘amenity’ on the estate and a breathtaking sunset from the privacy of their villa. A short journey down to the coast road and owners can enjoy the beach facilities at the Mullins beach club including private loungers and bar overlooking the crystal clear waters, beach service and the facilities of the Indulgence Spa are just across the road for the ultimate pampering experience. Royal Westmoreland is an exotic alternative for many investors looking for the perfect holiday home; let the Terra Luxury team guide you to your perfect tropical escape in one of the most sought after luxury destinations in the world. Ready to find your dream house? Start your search.